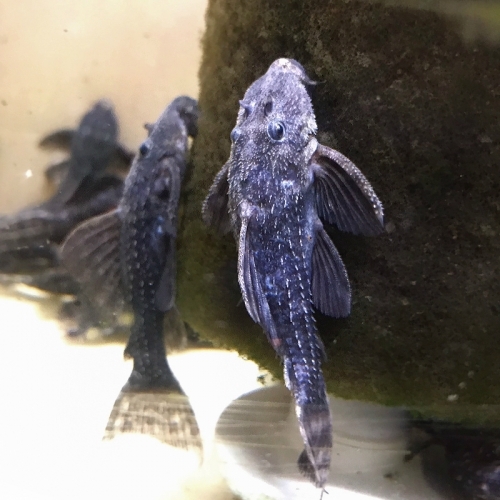 Pseudacanthicus sp. 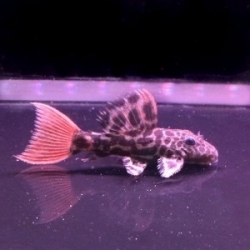 (L065) is also known as the Blizzard Cactus or the Mustang Cactus pleco. 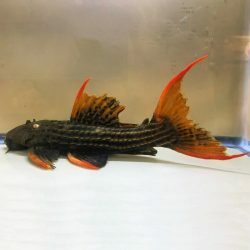 This pleco is rather large reaching sizes of 8 inches. 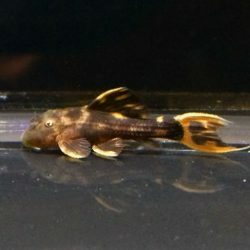 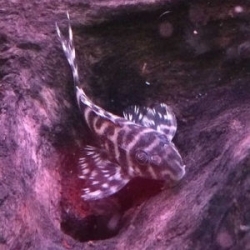 This pleco is a carnivore, though it is not a predatory fish. 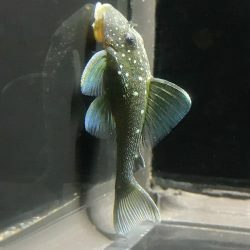 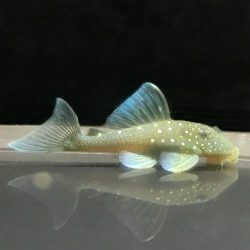 Does not do well in planted tanks, not because they eat them, but because they are in the way they get battered by these plecos as they move about the aquarium.